TTP HARD Drills have confirmed that they will be taking a stand at this year’s prestigious Professional Builder Live exhibition at the Yorkshire Event Centre, Harrogate, 13th and 14th June 2018. Manchester based TTP HARD drills supply their own brand of cobalt metal drill bits designed for drilling harder metals and alloys. Since their 2015 UK website launch online sales have been impressive with satisfied customers ranging from mechanics and builders to DIY enthusiasts. 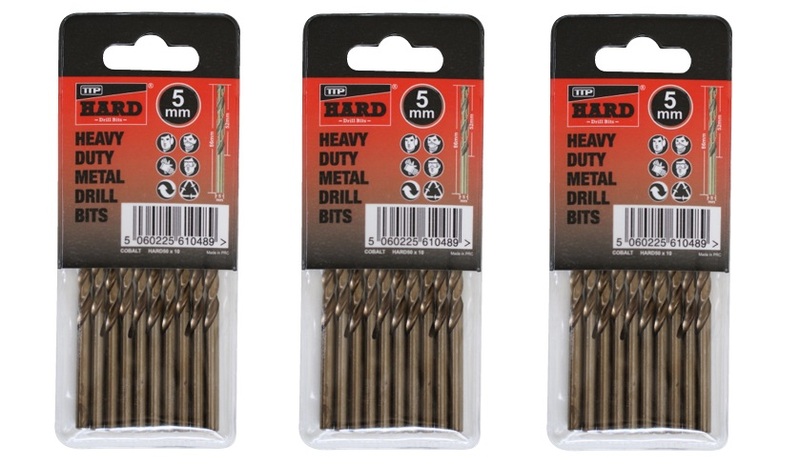 Drill bits are available in both metric and imperial sizes and can be bought in either kits or individual sizes. Their own brand metal cutting paste ‘CUT-IT’ will assist in the cutting of any metal whilst prolonging the life of the cutting tool. To register for a free ticket to go to the Professional Builder Live show in Harrogate, June 13th-14th, simply click here. Managing Director Brendan Kennedy said that their aim in building the website was to give visitors as much information as possible relating to the drilling of metal. Customers have commented that they find the online videos and drilling guidelines of great benefit. International sales have been remarkable with North America being the fastest growing export market. Brendan is looking forward to the Harrogate exhibition where they will be able to meet with customers and potential distributors for both the UK and Europe.